RULES on Importing Toys to the UK from China! Following on from last week’s post about importing children’s clothing to the UK, today I want to cover the specific rules for importing toys. Toys is another hugely popular niche for new online sellers, and that’s not really surprising. After all, we’ve all seen the toy sensations that just fly off the shelves; pretty much everything Frozen related in the last few years is a great example! And that’s exactly why I wanted to bring this up, before we get to the actual point of today’s post – you cannot buy licensed toys from China! Please don’t ignore this point! Any toys, be they plush, figures, cars etc., which feature trademarked characters or names, are illegal to buy and resell! It doesn’t matter if it’s a different design to the doll that Disney sell in their own stores! It doesn’t matter if it doesn’t have a Disney logo visible on the label! These toys are illegal – and that’s that. Of course this goes for all trademarked characters, not just Disney. I just used them as an example as the vast majority of toys being sold illegally are something to do with Disney. I don’t want to delve any further in to this now, as I’ve actually covered it on this blog before. You can take a look at that post here if there’s anything you’re unsure about: Wholesale Disney Character Items from China! Okay, now that we’ve got that point out of the way, let’s get to what today’s post is all about – importing toys from China to sell in the UK. As an importer of toys intended for children, you must comply with the 2011 Toys (Safety) Regulations, which basically introduced the European Toy Safety Directive into UK law. But you have to understand that even if you are technically an importer, i.e. you buy items from a factory in China, you may still be considered a manufacturer in terms of liability and role. This depends on a lot of different factors and is assessed on a case by case basis, but as I’ve mentioned before in both the Importing Children’s Clothing post as well as the Complete Guide to Insurance for eBay Sellers from last year, YOU AS THE IMPORTER are always responsible and liable, so please don’t forget that! Make sure the toy has been designed and manufactured to comply with the essential safety requirements during its foreseeable and normal period of use. Carry out a safety assessment of the toy. Demonstrate that an applicable conformity assessment procedure has been followed. Draw up the EC declaration of conformity and affix the CE marking. Draw up the technical documentation and keep it for 10 years. Apply information identifying the toy and manufacturer on the toy or packaging. Make sure the toy is accompanied by instructions for safe use and safety information where appropriate. Make sure that continuing production runs of the same toy remain in conformity. Carry out sample testing of marketed toys. Investigate and record any complaint made in relation to the toy and keep a register of complaints, non-compliant toys and recalled toys. Bring non-conforming toys into compliance and tell authorities if there is a safety risk and provide information to authorities on request. Identify the other economic operators in the supply chain. 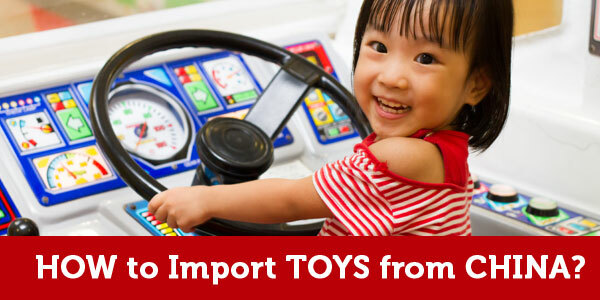 Make sure that the importer’s name and address is marked on the toy or packaging. Make sure that the compliance of the toy is not affected by the conditions of storage or transport. Bring non-conforming toys into compliance and inform the authorities if there is a safety risk. Keep a copy of the technical documentation for a period of 10 years. It’s just like with customs clearance, where so many of the people found with under-valued shipments claim it was “all the supplier’s fault” but HRMC don’t care – their only point of contact is you. But back to the topic at hand, and I know what many of you will be thinking after seeing the lists of obligations – “is it really worth it!?”. And that’s a good question! After all, there’s a reason why I generally suggest to my Easy Auction Business and 60 Day Blueprint customers that they stay away from certain niches when just starting out! As although the margins can look fantastic, there are a lot of things you have to deal with as well (if doing things properly). If you are intent on pursuing this niche, then let’s take a look at what products are actually considered toys. To put it simply, toys are products designed or intended for use in play by children under 14 years of age. Decorative objects for festivities and celebrations. Products for collectors, provided that the product or its packaging bears a visible and legible indication that it is intended for collectors of 14 years of age and above – examples of this category are: (a) detailed and faithful scale models (b) kits for the assembly of detailed scale models (c) folk dolls and decorative dolls and other similar articles (d) historical replicas of toys (e) reproductions of real firearms. Sports equipment, including roller skates, inline skates, and skateboards intended for children with a body mass of more than 20 kg. Bicycles with a maximum saddle height of more than 435 mm, measured as the vertical distance from the ground to the top of the seat surface, with the seat in a horizontal position and with the seat pillar set to the minimum insertion mark. Scooters and other means of transport designed for sport or which are intended to be used for travel on public roads or public pathways. Electrically driven vehicles which are intended to be used for travel on public roads, public pathways, or the pavement. Aquatic equipment intended to be used in deep water, and swimming learning devices for children, such as swim seats and swimming aids. Puzzles with more than 500 pieces. Guns and pistols using compressed gas, with the exception of water guns and water pistols, and bows for archery over 120 cm long. Fireworks, including percussion caps which are not specifically designed for toys. Products and games using sharp-pointed missiles, such as sets of darts with metallic points. Functional educational products, such as electric ovens, irons or other functional products operated at a nominal voltage exceeding 24 volts which are sold exclusively for teaching purposes under adult supervision. Products intended for use for educational purposes in schools under the surveillance of an adult instructor, such as science equipment. Electronic equipment, such as personal computers and game consoles, used to access interactive software and their associated peripherals, unless the electronic equipment or the associated peripherals are specifically designed for and targeted at children and have a play value on their own, such as specially designed personal computers, key boards, joy sticks or steering wheels. Interactive software, intended for leisure and entertainment, such as computer games, and their storage media, such as CDs. Fashion accessories for children which are not for use in play. If your product fits the description and isn’t listed above, then it’s most likely considered a “toy” in terms of this directive and therefore has to comply with the regulations. A manufacturer is required to carry out a safety assessment before placing a toy on the market, and this covers general risks as well as particular risks, such as physical, mechanical, flammability, chemical, electrical, hygiene and radioactive. There are also very strict requirements on the chemicals which can be used in the manufacture of toys and their concentration limits. You can find full details in the Directive. It goes without saying that the safety assessment is very important, but it’s far too complicated for me to cover in full here. You can find further guidance on the Europa website and from the British Toy and Hobby Association. One important point to bear in mind is that this test has to be carried out per SKU. If one different chemical is used in the manufacture or any other change is made, then the test has to be redone. Once a toy has been shown to conform to the essential safety requirements, the manufacturer must draw up an EC declaration of conformity and must affix the CE marking to either the toy itself, its label or to the packaging – as long as it’s clearly visible at the point of sale. This CE mark is basically a declaration from the manufacturer to say that this toy satisfies all requirement of the Toys (Safety) Regulations 2011. It is NOT a safety mark or quality symbol, as is sometimes claimed! Really it’s not intended for consumers at all, it is in effect a statement of liability for the authorities. All toys must be accompanied by relevant instructions and safety information (including information on ways that safety hazards may be reduced, such as the requirement for adult supervision or protective equipment). Traceability markings must also be present and should include a model number type or batch number, as well as details (name and address) of the manufacturer and importer. And of course all the usual rules regarding labelling apply here as well, i.e. country of origin, warning labels etc. A detailed description of the design and manufacture including a list of components and materials. A description of the conformity assessment procedure used. A copy of the EC declaration of conformity. The addresses of the places of manufacture and storage. Copies of any documents submitted to a notified body (where applicable). Test reports or documentation demonstrating compliance to harmonised standards. A copy of the EC type examination certificate (where applicable). A colour image of the toy. I know – much more complicated and difficult than you imagined, right? I’m afraid that’s just how it works, and the truth is that it’s very hard to be truly compliant. The directive and all of its requirements mean that the factory you buy from has to have a lot of control over their subcontractors and their suppliers – which is very often not the case in China. Similar to the clothing scenario, that’s why I would never recommend working with a supplier who doesn’t have a huge amount of experience dealing with EU customers and regulations. Otherwise it’s just too much hassle and risk for you. Of course there are suppliers in China who know what they’re doing (after all, 86% of the world’s toy imports come from China) but you have to be sure you’re dealing with them, and not some small time middle-man. And please, don’t say “but how are there so many sole traders selling toys on eBay?”. We both know the answer to that question is simple – they’re not compliant! It is possible to be successful in this niche while doing everything by the book and a lot of that depends on who you choose to work with, so please research your suppliers properly. I’m talking about full factory inspections, verification of previous certificates and assessments, and full ongoing checks. As always, I am here if you need any help along the way, so don’t hesitate to get in touch with a question or two! Yes, IF the supplier is located outside the EU, you will become the importer and you will need to certify these items in the UK. Do you have any advice on hoe to build a Declaration of Conformity? Can a global test company in China help build this for me? With technical documentation and diagrams. I presume only the manufacturer can provide this. For the name and address on the packaging. Does the address need to be your ltd company trading address or isnit registered address. I dont particularly want my home address on packaging. I don’t know exact rules on this – I have never done it myself. You will need to contact Trading Standards or a Testing house and ask them for advice. Address on the label/packaging – I’m not 100% sure but I think a trading address is fine, yes. But you need to double check this too. What about water based toys like “Splat balls”. An importer in the UK told me they are made up of 80-90% water and the limit in the UK is 30%? Can you confirm. I’m sorry but I don’t know rules on specific items like those. You better talk with Customs and ask them about this. what about if you designate that it’s not a toy? For example, a plush that is meant to be used as a night light? You will need to contact Customs or Trading Standards to find out about such specific cases. I stumbled onto this post because I was thinking about buying a Japanese stuffed toy character from an e-bay seller based in Australia. (I’m in the UK.) Guess that’s a bad idea? You want to import just one item, for personal use? Then it’s not a problem! I’m talking here about B2B transactions, importing in bulk with intention for re-selling these items on eBay or Amazon. I have just bought a Disney plush toy from Amazon and it was larger than the other toys in the range. I notice it has a label saying not for resale. Is this legal for them to sell? Not sure on this one – I think It’s not illegal “per law” to re-sell these items but it is illegal manufacturer/supplier distribution chain wise. They’re not allowed to re-sell such items, which usually comes from multi packs or special editions but it is not government law that regulates such things. At least I’m not aware of that. It’s more about manufacturer/brand owner and their distribution channels. I am the person who designs my toys and then get them made at a factory in China. Am I considered the manufacturer in this case? Yes, you’re the manufacturer and importer and you have to deal with all documentation, certificates etc. Hi andrew is it pat testing? How much do these tests costs? Sorry Matthew, no idea on costs as I have never done this process myself. I find your blog/website really helpful- thank you. Question for you- would a play mat (not like a play gym- no play accessories etc so more like a rug) be considered a toy? I don’t think that would be classed as toy, no. But I’m not 100% sure so you better contact Trading Standards office and ask them directly. thanks for the post, this is all really useful. I am looking to start importing toys from China for sale in the UK and want to make sure they are all correctly CE marked. Can you recommend any Chinese testing and consulting facilities which offer a one stop shop for assessment, testing and technical documentation? No, I don’t have any such contacts as I haven’t dealt with toys. But you should look for a UK based testing house to get these tests done and certify products you will import. Just search for a “testing house” on Google to find these companies. SGS is one of the most popular companies dealing with this. Thank you very much for your posts they are very helpful. I’m really interested in selling toys as I have three young children myself. I have found a supplier that claims to have had all of these safety checks but how can this be proven? I want my little customers to be safe!! You need to ask them for copies of these certificates and then try validating them via testing houses that have issued them. Certificates will have testing house contact details/website on them.